Special accessible parking close to the main festival midway. “Festy Cab”. 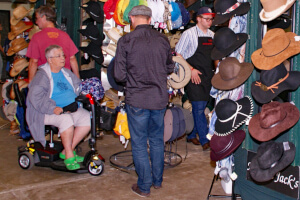 Festy Cab will provide golf cart transportation from the accessible parking area to the entrance gate of the festival midway and they are also available to provide a return ride back to your vehicle at the end of the day. There is no charge for this service. Festy Cab will also provide transportation into the campgrounds for a small fee as well. Designated accessible camping area on level blacktop near the entrance of the midway. 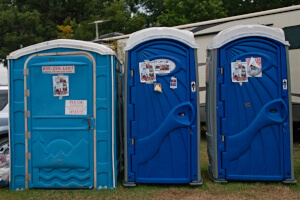 In the festival midway, we have a number of permanent accessible restroom facilities and conveniently located accessible port-a-johns. The Stage 1 is located in front of a large grandstand and has an ADA approved wheelchair ramp to an area reserved for wheelchair use. The festival interior area where we have our 4 stages is paved and you should have no problem in using a wheel chair or powered assist scooter to move around. There are accessible picnic tables in the food vendor area you can rest at – even if you’re not enjoying a snack and there are bleachers and benches at Stages 2, 3 & 4. If you are interested in competing in any of our acoustic instrument contests you will find that our contest stage (Stage 4) has a ramp for access to the performance area. 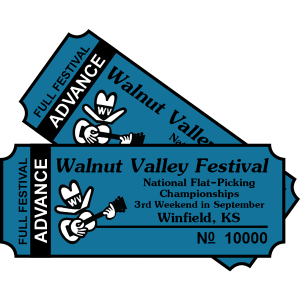 Members of the Walnut Valley Festival Security crew, Winfield Emergency Medical Service, Winfield Fire and Rescue Crew and Municipal Police Force are on grounds should you have a medical emergency need. Every year since 1989, the Walnut Valley Festival has hired sign language interpreter Linda Tilton to be on stage with a variety of performers at the Festival each year. Besides doing sign language for the hearing impaired festival-goers, fans enjoy watching her as she exhibits her artful blend of sign language and dance while sharing the stage with other various festival performers. 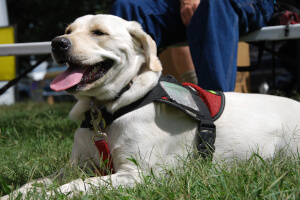 Though we have always asked folks leave their pets at home the Walnut Valley Festival is and always has been therapy and service animal friendly. Let us know what we can do to help at the Information Booth or at any of the interior or exterior entry gates.